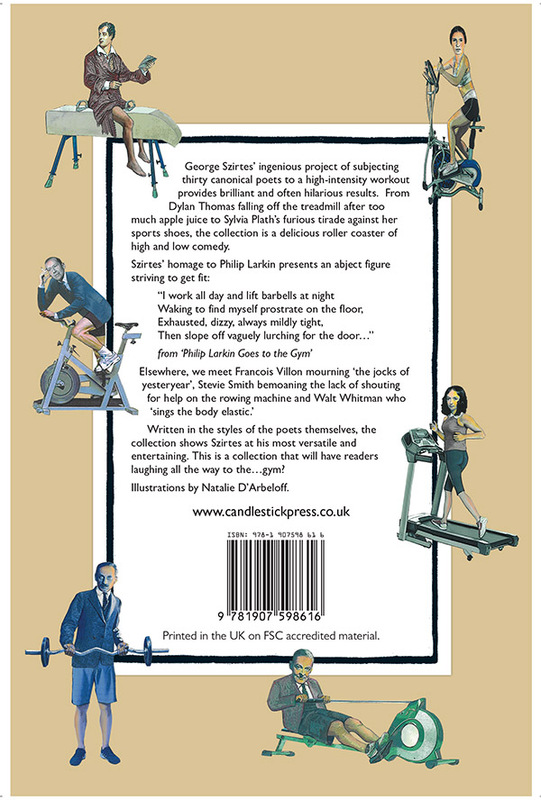 Below are the back and front covers of the Candlestick Press forthcoming pamphlet of George Szirtes' witty and wonderful Thirty Poets Go to the Gym which, as you may remember, I was commissioned a few months ago to illustrate. The original intention was that my images of Emily Dickinson, Elizabeth Barrett Browning, ee cummings, Rainer Maria Rilke, TS Eliot, Lord Byron, Walt Whitman and George himself would be placed below or alongside the relevant poems. 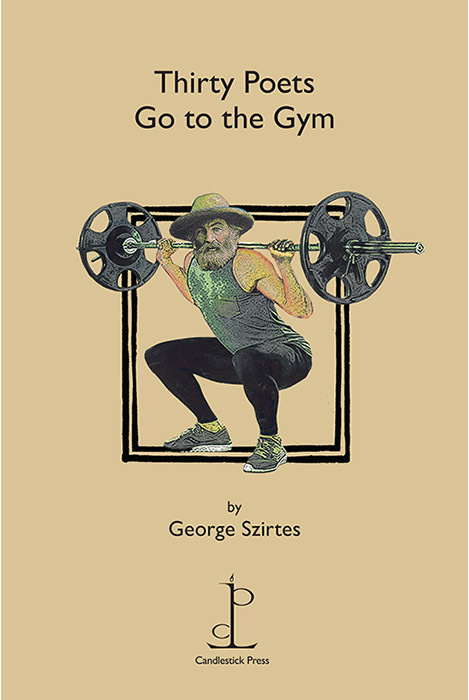 However, when the book's layout was being worked out, the publisher decided instead to fit my images on the back cover, with Walt Whitman on the front cover while George Szirtes and Lord Byron appear on bookmarks. I would have been happier with the original plan but never mind. May this book have a long, happy and successful life. Davoh, ha ha, very good. Jelly belly, yes, hard to get rid of! Thanks Bruce. It was easy to illustrate, the poems are great.